Lansdowne Hotel Manchester, Hotel England. Limited Time Offer! The LansdowneRead more Hotel is a two star Budget establishment has all the comforts such as : Restaurant, Room Service, Bar, Front Desk 24hr, Newspapers, Non Smoking Rooms, Business Center, Laundry services, Free Parking, Fast Check-in/out, Fully Non Smoking.10 minutes by car distance from the center, this hotel is located at 346 Wilmslow Road, Fallowfield, in the south-east section of Manchester, which is ideal to discover the city.Other travelers have rated this hotel 4 out of 10.The Manchester airport is about 21 minutes by car from the hotel (6 miles ).Practical information:This hotel has a free parking. 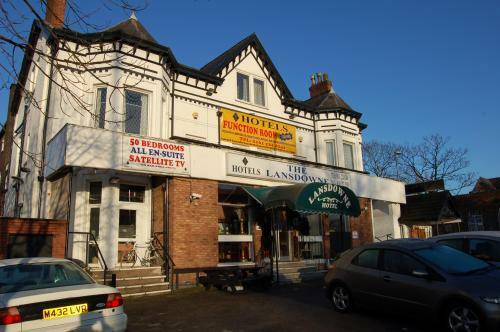 Situated within 2 miles of Manchester’s city centre, this family-run hotel offers value-for-money accommodation and good access to Manchester Airport, the universities and the region’s major road network. + The staff were very friendly and helpful. - Nothing going on entertainment wise, but then again we only stayed for one night and were meeting friends there. - Room was not clean, had not been vacuumed, broken/missing tiles in bathroom. Altogether a very poor hotel. Not recommended. 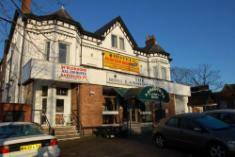 + Friendly and helpful staff and good value for money. - There is a club next door and we had to get up early Sunday so wanted a chilled night and the club downstairs kept us up till about half 2. 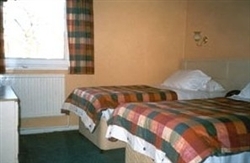 + Quite informal clean and tidy.Older style hotel but well apportioned.